Satin gown with side split and sheer lace bodice with beaded appliqué. 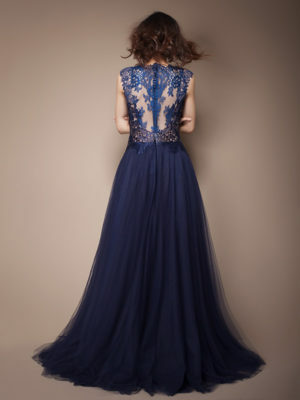 Navy V-neck chiffon and lace evening gown with layered tulle sleeves. Evening gown with diaphanous chiffon skirt, featuring sheer bodice decorated with chiffon drapery and lace appliqué. 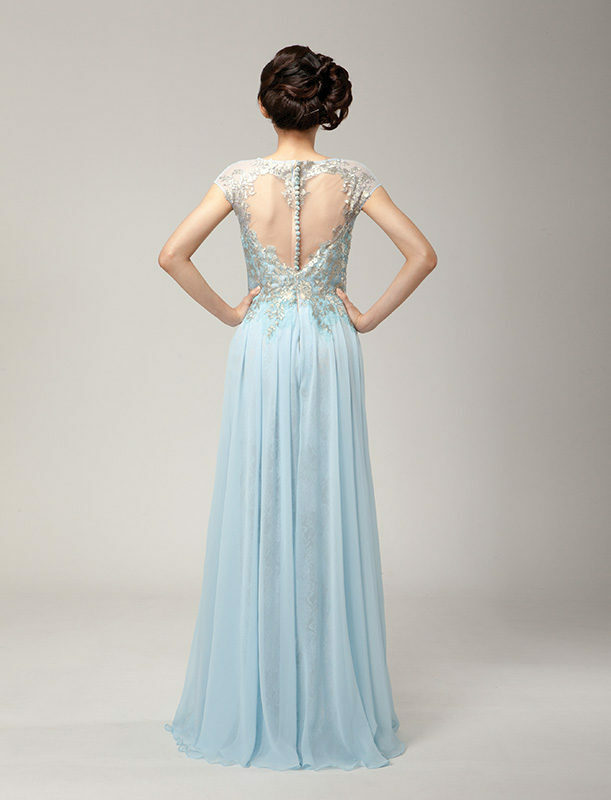 Mermaid bustier evening gown with ruched tulle appliqué and tulle skirt and beaded lace motifs. 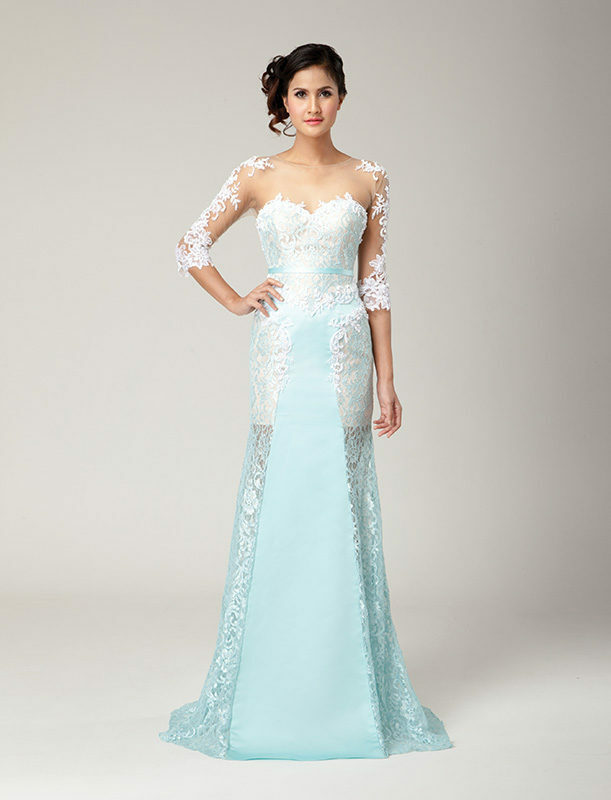 Lace mermaid bustier evening gown featuring sheer long sleeves, back and thigh panels with lace appliqué. Cocktail dress with flared hi-low skirt, sheer back and bodice decorated with two-tone lace appliqué. Cocktail dress with sheer sleeves and bodice embellished with intricate two-toned lace appliqué. Tulle evening dress with train, featuring lace-up back and lace appliqué on bodice. Cocktail dress with box-pleat skirt and tulle-appliqué bodice decorated with lace appliqué. 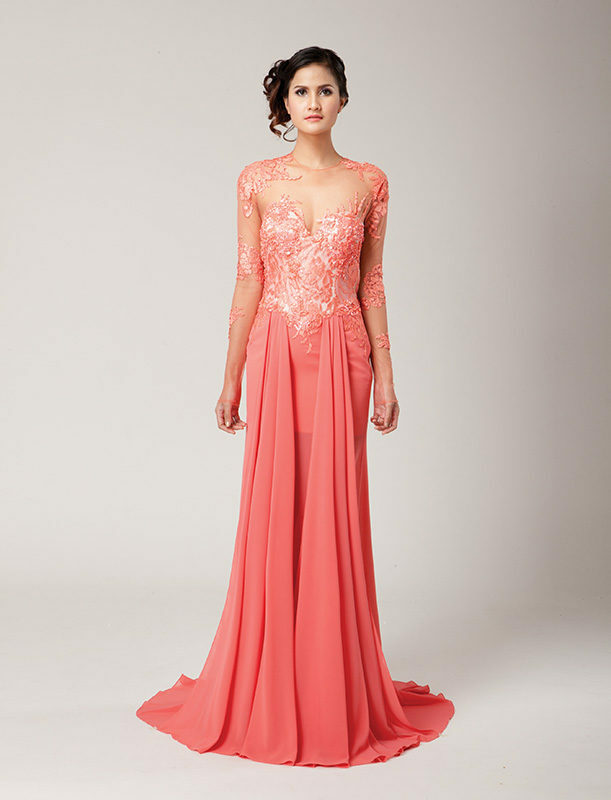 Lace hi-low hem evening dress with train, featuring ¾ sheer sleeves decorated with lace appliqué. Off-shoulder cocktail dress with ¾ lace paneled sleeves, featuring a lace and pleated chiffon appliqué bodice.